There’s nothing like the change from winter to spring to get you thinking about lighter garments. Though the weather outside may not always agree, it really is the perfect time to plan a spring knit or crochet project. 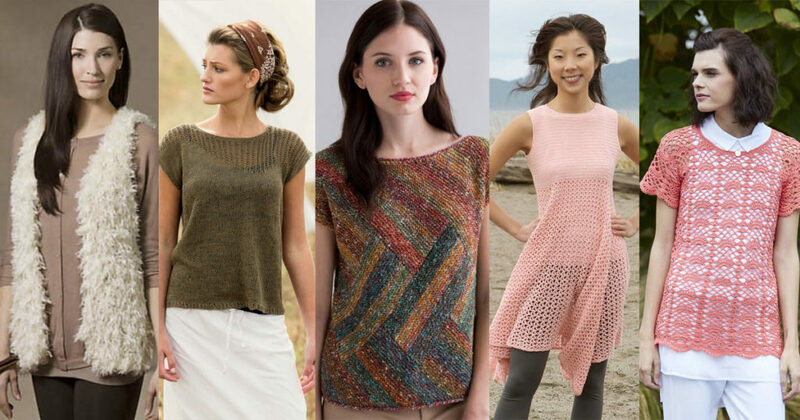 Counting down from number five, here are our best-selling spring patterns to get you inspired! Make this light and lacy tee in your favorite neutral or step it up with something bright. Either way this piece is sure to become a layering staple! And, with an easy rating this design is accessible for all levels. 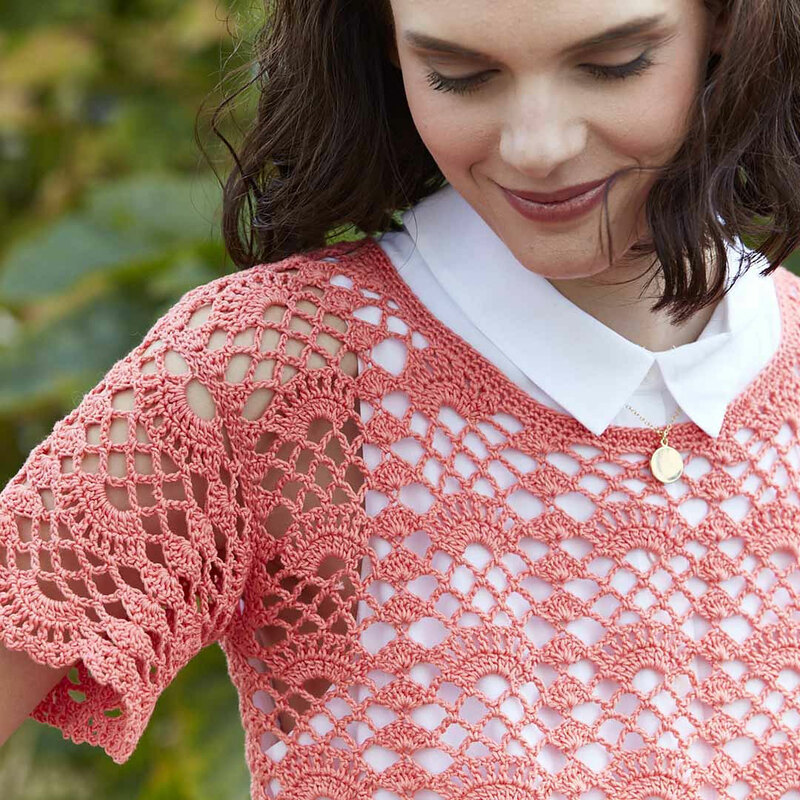 Will this spring crochet pattern be the next on your list? 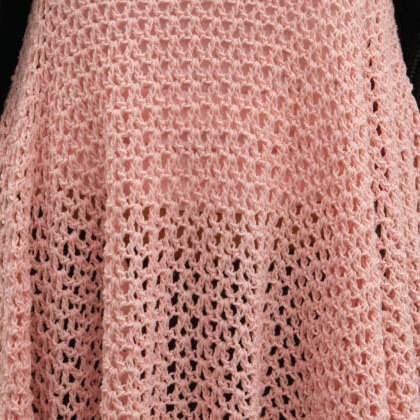 Beach cover up or crochet dress? We say, both! This beautiful and fun pattern features an empire waist making it flattering for a variety of figures and sizes. For a bit more fun, create color blocks by making the top and bottom a different color! Don’t miss out on this versatile piece; grab the crochet dress pattern today. This might be inspired by a log cabin pattern, but nothing about this top is a ‘cozy by the fire’ sort of garment. Embrace spring with perfectly placed diagonals and beautiful fit. 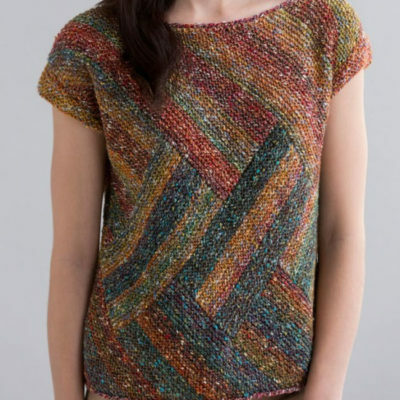 Mix and match the colorways to make this knitted top pattern uniquely you. Inspired by the Fisherman’s Rib stitch, traditionally associated with winter sweaters, Bristol reimagines the summer tee with her design. With a cushy pattern worked in crisp linen, you’ll stay cool from spring into summer. 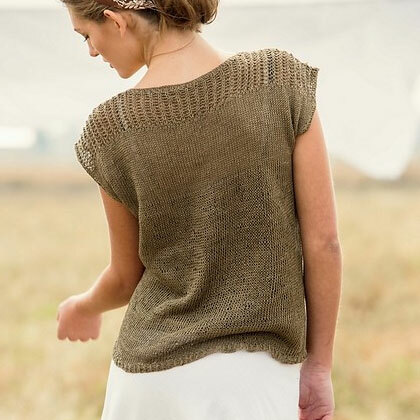 It’s no wonder this knitted tee pattern is so alluring. This on-trend, faux-fur vest is our #1 pattern for spring. With large needles and super bulky yarn (aptly-named FAST) this knitting pattern could easily be finished in a weekend. Pick up all your favorites today!